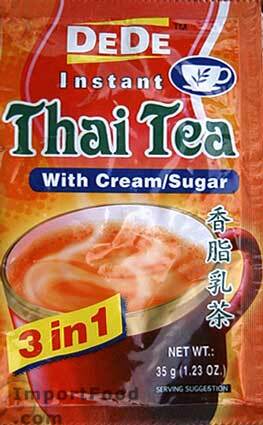 Ingredients: instant Thai tea, sugar, (glucose, palm kernel oil, casein), artificial color, vanilla flavor. Product of Thailand. We also offer instant Thai coffee.